There are no remains of the friars’ residence. 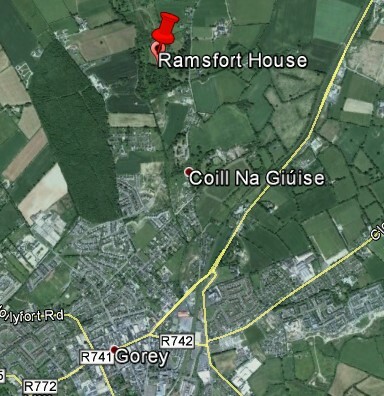 The Ram family invited the Franciscan Sisters of Perpetual Adoration to settle in Gorey and sometime later Belgian Franciscans were invited to come along as chaplains. Permission was given for the foundation on 11th September 1858. The real aim of the Belgian friars was to reform the Irish Franciscans by their example. When the bishop would not grant them the privilege of having a public church, the Belgians moved to Killarney. They left Gorey on 9th July 1860.